San Jose is full of culture, mystery and enough sports teams to keep a sports lover happy. It is a great city to take your sweetheart to for a romantic getaway, including dining, dancing and great places to get a drink. It is full of opportunities to make romance come to life. The next adventure is just around the corner waiting for you and your love to make the next cherished memories together. Treat yourself and your love to a relaxing trip to the spa to prepare for the perfect romantic getaway. 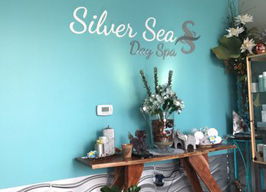 A trip to the spa to indulge in relaxation and luxury is the perfect way to set the mood for your trip to San Jose. Relax, get a massage and plan the perfect getaway with your sweetheart. Once you are feeling rejuvenated, set fourth on an adventure through San Jose that is sure to make memories. 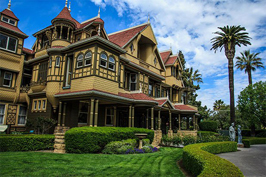 When visiting San Jose, one point of interest to be sure to see is the Winchester Mystery House. The house, which has a reputation of possibly being haunted, is the perfect place to tour with your sweetheart for a great reason to snuggle closer. The house has been featured in film and has been an inspiration for many stories. Take your sweetie to the Winchester and experience the house that has inspired many and is still a mystery. San Jose is full of cultural sights to see and things to do. From nice wine bars and great places to get a cocktail with your love, to parks, gardens, theatres and museums, San Jose has it all. A few theatres of note are the City National Civic and the CSz San Jose, where you are sure to get a laugh with your love. After seeing a show or stopping for some laughs, stroll through a heritage rose garden and then visit one of San Jose’s plentiful museums such as the San Jose Museum of Art. 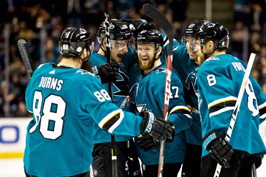 “San Jose is home to the San Jose Sharks of the NHL, the San Jose Barracuda of the AHL, and the San Jose Earthquakes of Major League Soccer.” Take your special someone out to see a game in San Jose. Beyond being home to hockey teams and soccer teams, San Jose is also home to a minor leauge baseball team, the San Jose Giants. If you and your love favor football, San Jose is located near Santa Clara, the home of the San Francisco 49’s. Be it on the ice or on the soccer field, San Jose has something to offer the sports loving couple.